If you’ve ever written what you think is an awesome post for your blog and ended up with only a few views, no likes, tweets, or backlinks, and no comments, then you can probably identify with that proverbial tree. So, what can you do to better engage your audience with your blog? First, cover the basics and make sure that you are writing about topics that interest your target audience, and that you have constructed it in a way that makes it easy for people to read, and easy for people to understand what you’d like them to do—i.e. share on Facebook, Tweet, sign up for your newsletter, contact you, etc. Check out this “Perfect Blog Post” template for a basic framework to use for all your posts. The key is to choose particularly compelling text from your blog or other online content that people will find immediately amusing or thought-provoking and will want to share. If a tree falls in the river and nobody is there to Tweet it, does it really make a splash?– Tweet This Now! You’ve probably seen them before, either in nicely designed callout boxes, as little buttons or the Twitter bird icon in-line with text, or simply as “Tweet This” text links. There is no dearth of sources for tweetable content. A Google search for “tweetable statistics” provides 21,300 results, and a Google Search for “tweetable quotes” returns 28,800 results. 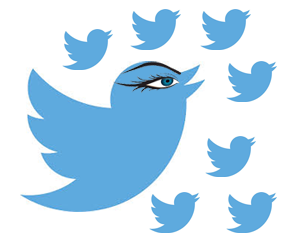 You could grab any number of tweetables from the lists any of these pages provide. However, creating your own unique tweetables that relate directly to your blog content is a better approach. A recent post, How to Craft Tweetable Quotes That Spread Your Content like Wildfire, provides an in-depth look at creating viral-ready tweetables. It provides detailed explanations and examples for “5 Proven Secrets to Crafting Quotes that Spread Like Crazy:” Keep it Simple, Be Unexpected, Be Specific and Concrete, Use Credibility, and Embrace Emotion. Your two best bets for this purpose are Bitly (use the “shorten” box at the top right of the homepage) and Google URL Shortener. In either free service you simply paste the full url for the page on which you are adding your tweetable, and then it returns a short link that you use in the tweetable itself. Once you have your shortlink, you have several options for creating the tweetable and inserting it into your blog. Use a WordPress plug-in. If you have a wordpress blog, then one of the 5 Plug-ins reviewed in this post may be just what you need. Typically, using the plugin allows you to click a button from WordPress and launch the configuration tool for inserting a tweetable into your post. Use the free online service clicktotweet. Clicktotweet enables you to enter the text and link you would like to use for your tweetable, and it then provides the code for you to pace behind your “Tweet This” link. You can use it to create as many anonymous untracked tweetables as you like from the “basic” page. If you sign-in and attach your Twitter account, you can also create tracked tweetable links that will provide statistics on who views and tweets your content. Watch this video for step-by-step instructions for using bit.ly and clicktotweet to create tweetables and include them in your blog posts. Hand-code your own tweetable links. This sounds way more complicated than it is—so don’t be scared off. To use it you’ll need to be able to enter html code when creating your post, but as long as you can do that, creating eye-catching tweetables is easy. Detailed instructions are provided in #3 in this post, but you can also just copy the code below and edit it for your particular message. If you want to get a little fancier, you can create a special style for tweetables in your blog, or use an inline style within “div” tags to create a call out box. For example, the DIV code below creates an outlined yellow box for the tweetable. There is no shame in jumping on the bandwagon when it is really rocking! Let your imagination and the styles used in your blog and website be your guide. Give tweetables a try in your next post and let us know in the comments if they work for you and if you see an uptick in engagement. Tweet This Now: Blogging for a silent audience is like one hand clapping…encourage sharing and feedback with tweetables!